4,400 Nashville Homeowners Shocked to Hear – You’re Now In the Floodplain – Hermitage TN | Bush Insurance & Financial Services, Inc. The Federal Emergency Management Agency (FEMA) has closely examined more areas of Davidson County than ever before, and has determined that 4,400 homeowners are living in areas of Nashville now considered to be at a high risk for flooding. For these homeowners that have mortgages through the Veterans Administration or the Federal Housing Administration, this new 100-year floodplain designation brings the shocking news – they are now required to carry flood insurance. Additionally, of concern to those planning to sell their homes in the near future, homes located in 100-year floodplains could take longer to sell. With a 100-year floodplain designation, homeowners in these newly labeled areas will now be aware that they face a 1% chance per year of their home being flooded. Though all homes in Davidson County are eligible for flood insurance, Nashville homeowners tend to carry flood insurance only if required to do so by their mortgage companies, but Metro Nashville officials say it is time for that view to change. To see if your Nashville-area home is now considered to be at a high risk for flooding, view the revised flood maps here. 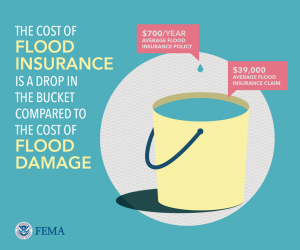 Call us at 615-794-9668 if we can be of assistance to you with your flood or homeowners insurance questions. Burglary Prevention: Should You Leave the Lights On? Which Home Alarms Do You Need?